Udayan Care USA believes that education and a loving family are the key to creating confident, successful young adults in India. For over 20 years, the Udayan Care Ghars (Homes) have cared for orphaned, abandoned, and abused boys and girls throughout northern India. These homes differ from traditional orphanages and shelters because of Udayan Care’s focus on LIFE–living in a family environment. Children are given a loving family, including mentor parents, caregivers, and siblings, educated through post-high school, provided mental and medical health care, and a place to call home for the rest of their lives. 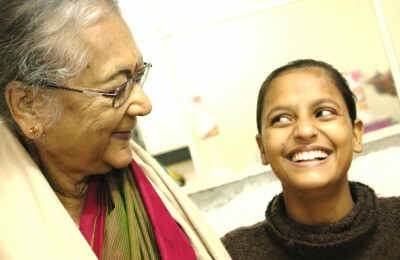 Udayan Shalini Fellows are intelligent, young women whose families make less than $2,000 per year. Once a girl is admitted into the program, the Fellowship provides financial support for her tuition from 11th grade through college, as well as providing a mentor to guide them through these years of school and help them obtain jobs. During this time, these amazing young women go through an intensive 5 to 6-year training program, covering topics from personal hygiene to resume writing to confidence building. They leave the program as confident young women prepared to make a difference in their communities, succeed in the workforce, and help support their families.